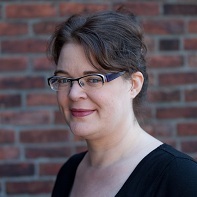 Lydia Frank is Vice President of Content Strategy for PayScale, the leader in modern compensation data and software. PayScale creates products that help employees and employers understand market pay and have more open and mutually beneficial conversations about compensation. While at PayScale, Lydia has collaborated with a number of media partners to showcase PayScale’s data around topics like the skills gap, underemployment and economic mobility through education. She has contributed articles to various publications, including Money, Fortune, Harvard Business Review and TechCrunch. She is also a regular speaker on the topics of salary negotiation, gender equity and compensation best practices. She holds a bachelor's degree in journalism from Central Washington University and previously led editorial teams for both MSN and About.com, covering topics including careers, technology and personal finance. What Is Pay Transparency & Why Does It Matter?